We bring forth for our clients premier quality of Drive Chains. These highly acclaimed range is manufactured making use of qualitative raw material which is obtained from famed vendors of the market. This range is offered by us in various customized models to meet the variegated requirements of our clients. Our products are extensively used in various industrial applications, owing to their long working life, strength, accuracy lightweight and durability. With firm commitment towards attaining maximum level of client satisfaction, we are engaged in manufacturing, supplying and exporting a comprehensive range of DBC Chain to our valued patrons. Offered Chains are widely appreciated for systematic usage in various sectors and industries. Moreover, the offered DCB Chains can be availed in different sizes as per their requirements and needs of patrons. 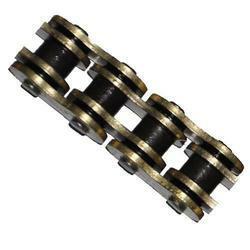 We bring forth for our clients a comprehensive range of Industrial Drive Chain. These products are highly demanded in the market owing to enhanced durability, manufactured in accordance with the industry set quality parameters. For Mechanical Power Transmission, this offered range is extensively used in various industrial and commercial applications. Our products are highly demanded for their ability to convey a unit load above the ground with the ability of horizontal and vertical movement at any path. Owing to our experience in this domain, we have been able to offer an unmatchable range of Heavy Duty Driving Chain. Offered range of Duty Driving Chain can also be availed in various sizes, grades and capacities from us that is appreciated for their excellent quality. Moreover, the offered range can be availed at market leading prices. 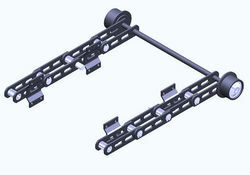 We are instrumental in offering a wide array of Feeding Drive Chain to our esteemed patrons. Our offered range is manufactured by making use of optimum grade raw material that is sourced from the most valued vendors of the market. Furthermore, clients can avail these in various sizes and grades as per their detailed specifications. Looking for Drive Chains ?